The first thing people generally think about when San Diego comes up is weather, since “America’s Finest City” allegedly has the best weather in the country. That may be true, but unless you work as a lifeguard, gardener or other outdoor-based job, you’re usually looking at the sunshine from indoors, and don’t get much of a chance to enjoy the warm temperatures — unless you’re a WorthPointe financial planner. While we often don business clothes and meet clients indoors, we have tremendous freedom as to how we organize our days and where we spend them; no one expects us to clock in or out at certain times. What that means is we have more of a chance to enjoy the San Diego lifestyle; we can choose to throw on shorts and flip-flops and work from the beach, or Balboa Park, or any number of other scenic local spots. We aren’t just employees at WorthPointe, we’re partners, which means we have equity in the firm. With “skin in the game,” the overall success of the company is tied to our personal net worth — a significant motivational factor. The partner agreement resolves any concerns about what would happen to our practice if we become disabled or pass away. This built-in succession plan provides our clients and us with peace of mind — as a local partner will immediately take over when required. We are relieved of having to do time-consuming back-office work because we have great administrative support. In my experience, solo practitioners can spend up to half their time tending to administrative duties for which they don’t get paid — so taking this responsibility off our plates frees us up to focus on growing our practices. Opportunities for collaboration abound. Old guys like me are available to mentor younger advisors, sharing things we’ve done that have and haven’t worked. It’s also invaluable to have a team of people available to bounce ideas off of and gain marketing tips from. It’s the best of both worlds, as we have our own practices but work under the umbrella of one firm. We have the ability to take stress-free vacations. If someone wants to hike in Nepal, bask on a Hawaiian beach or do whatever floats their boat for a week or two — or more — they know we’ve got them covered. A fellow advisor will handle calls from their clients, so no one’s left twisting in the wind. Sounds pretty good, right? In addition, we have the chance to get more involved in the San Diego community by volunteering at Ronald McDonald House, attending Padres games with clients and participating in the annual Toys for Tots drive sponsored by the local Marine Corps. Life is good at WorthPointe in San Diego. Does this sound like a lifestyle you’d enjoy? We’re always looking for new team members, so we invite you to visit WorthPointe careers to learn more. Charles L. Stanley CFP®, CHFC® & AIF® is a CERTIFIED FINANCIAL PLANNER™ professional and a Chartered Financial Consultant, and he holds the Accredited Investment Fiduciary® designation. For more than 20 years, Charles has served retired physicians, business owners, corporate executives, retirees, and widows, helping them with their estate planning, tax strategies, risk management, investment selection, business succession, and retirement planning. Charles is a co-author of T.A.S.K. – The Trusted Advisors Survival Kit, published by LexisNexis and is the founder and editor of Capital Markets U.com Magazine: Investor Education for Main Street America. He recently published Forewarned is Forearmed: How to Make an Annuity Purchase (or not) You Will Never Regret. 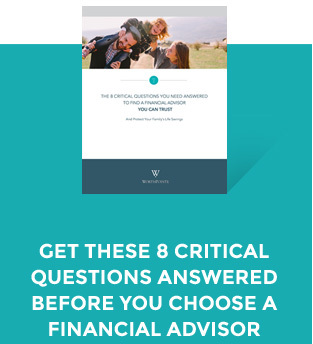 Additionally, he has been quoted or published in the Journal of Financial Planning, San Diego Union Tribune, San Diego Daily Transcript, American Funeral Director Magazine, Canadian Funeral Director Magazine, The Bottom Line – Independent Voice for Canada’s Accounting and Financial Professionals, Financial AdvisorPro, The Family Business Advisor, and Christian Businessman Magazine and was a contributing author to How to Manage a Million Dollars or Less. He also hosted Senior Money, a radio talk show heard on KCEO AM 1000 and he has appeared as an expert witness in both NASD arbitration and San Diego Superior Court.